UNIFIL says it found tunnel, allegedly dug by Hezbollah, near Metula in northern Israel. The United Nations peacekeepers have confirmed the existence of a tunnel in northern Israel near the Lebanese border, days after Tel Aviv accused armed group Hezbollah of digging under the frontier. In a statement on Thursday, the UN Interim Force in Lebanon (UNIFIL) said it “visited a location near Metula in northern Israel” and “can confirm the existence of a tunnel at the location”. 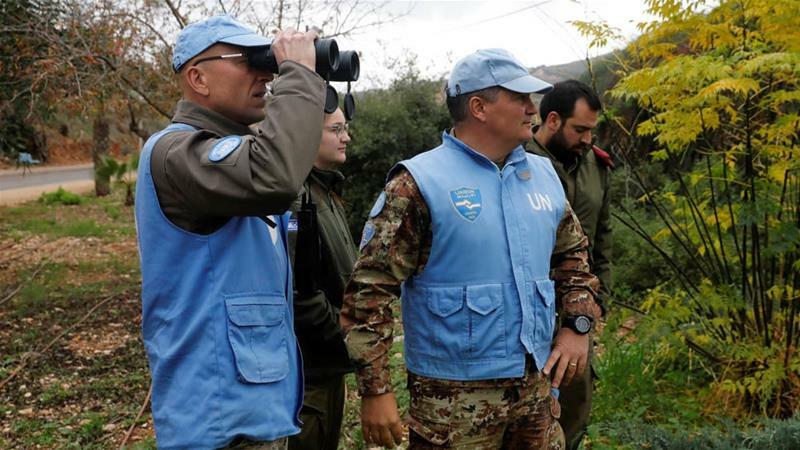 UNIFIL said it is “engaged with the parties to pursue urgent follow-up action” and “will communicate its preliminary findings to the appropriate authorities in Lebanon”. The confirmation by the UN came a day after Lebanon said Israel presented no evidence to prove its claims of a network of attack tunnels allegedly built by Hezbollah. In a meeting with UN peacekeepers on Wednesday, Lebanon parliament Speaker Nabih Berri said the Israeli accusation was not based on “any real facts at all”. On Tuesday, Israel launched an operation dubbed “Northern Shield” to destroy the tunnels it claimed were found at the Lebanese border. The Israeli military said it provided UNIFIL with a map of the area around Ramieh village on which houses were marked which are “connected to another attack tunnel that has been dug from Lebanon into Israel”, army spokesperson Lieutenant Colonel Jonathan Conricus said. The tunnel crosses into Israel but is not yet operational, he added. Israel has not detailed how many tunnels have been detected, although Conricus on Thursday said the army was working in three different areas along the border. The operation is part of Israel’s wider campaign against Hezbollah, including actions to tackle the group’s weapons facilities. Israel’s Prime Minister Benjamin Netanyahu said this week that Hezbollah was planning to send attackers through the tunnels, which he claimed were big enough to be used by motorcycles, small vehicles and groups of people. “Hezbollah wants to insert several battalions to our territory with the aim of isolating communities, towns and kibbutzim [collective farms] to continue its reign of terror and abductions which could take place simultaneously,” he told a meeting of foreign diplomats on Thursday. Israel estimates Hezbollah has approximately 130,000 rockets in its arsenal, although rejects the group’s claim that it has successfully acquired precision missiles. “Despite Hezbollah’s effort to insinuate otherwise, it is not in possession of any significant accurate capabilities,” Conricus said.